After making the announcement that they are entering the full-frame mirrorless market at Photokina 2018, Panasonic have just released the full specifications of its LUMIX S1R and LUMIX S1, 35mm full-frame mirrorless cameras. The new cameras are based on the L-Mount standard, which is native to the Leica world, and is to be joined by Sigma as well. Panasonic also officially announced three new lenses for the new full-frame S series cameras – the LUMIX S PRO 50mm f/1.4, the LUMIX S Pro 70-200mm f/4 O.I.S. and LUMIX S 24-105mm f/4 Macro O.I.S. Panasonic are also committing to making more than 10 lenses available by 2020 available for this new system. The LUMIX S1R is a more photography oriented camera with a 47.3 megapixel full-frame CMOS sensor (36mm x 24mm) and also features a High Resolution mode, which enables 187-megapixel ultra-high precision photo shooting. The camera does not have a Low Pass Filter for some extra sharp and more detailed images, which some photographers will require in their work. Panasonic’s advanced 225-point Contrast AF system with DFD technology is present, and while contrast-detect based, the AF system in the S-series promises “…the industry’s fastest level of focusing speed but also a tracking performance that is made possible by the adoption of advanced AI technology that accurately recognizes moving target subjects” according to the manufacturer. 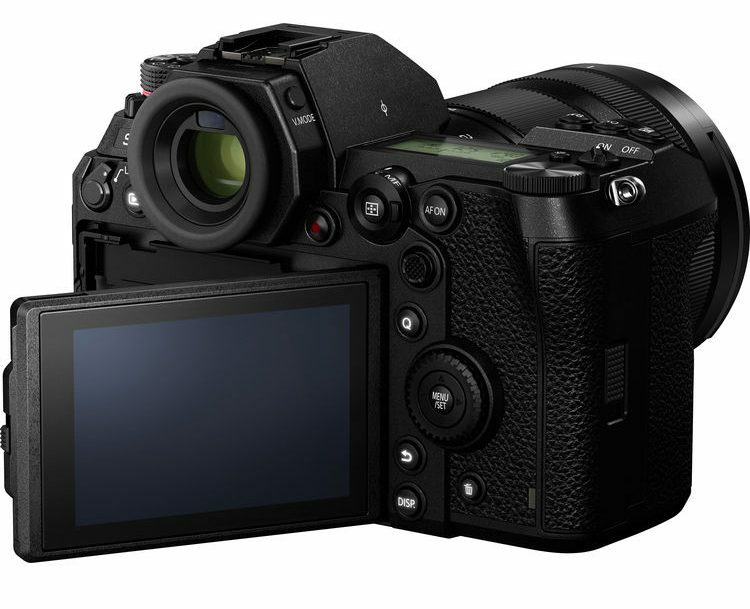 The new S1R and S1 cameras feature Panasonic’s 5-axis Dual I.S. 2 (in-body image stabilization) which is apparently very good and works for both photo and video recording, including 4K. The Body I.S. compensates for camera movement even when other L-Mount lenses without O.I.S. are used. And speaking of 4K video, the both the S1 and the S1R will record 4K/60p however this is going to be 8bit 4:2:0 Long-GOP at 150Mbps. This is also going to be UHD 3840 x 2160 and not DCI 4096 x 2160. 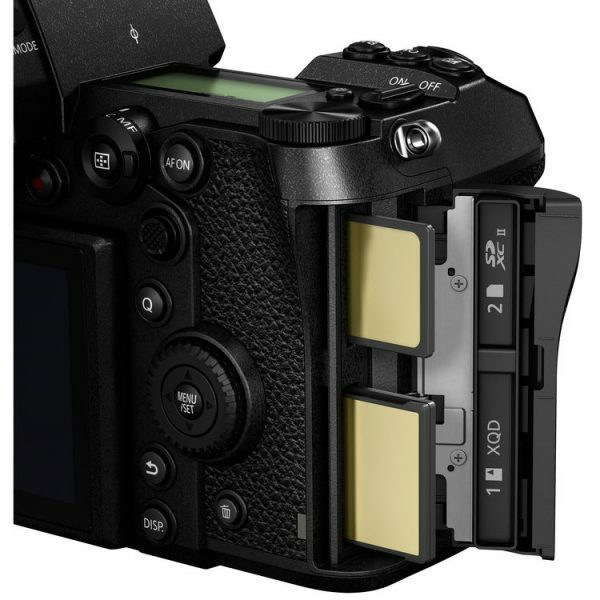 The cameras record onto either SDXC or XQD cards, there is one slot for each media card. In 1080p both cameras will max out at 180fps in NTSC (150fps in PAL for S1, 120fps for S1R), which are very good speeds for slow-motion. The Lumix S1 is the more video oriented hybrid full-frame mirrorless camera of the two, with a 24 megapixel sensor and a full-pixel readout in 4K. The S1R on the other hand will skip lines due to the higher resolution 47 megapixel sensor. In 4K/50 and 60p, the S1 has a sensor crop of around 1.5x which is APS-C territory; however in normal speed 4K at 24, 25, 30p the S1 will use the full sensor. 4K/50p and 60p is limited to 15 minutes, but no 30 minute recording limit though. You also get a full-sized HDMI output and compatibility with the Panasonic DMW-XLR1 audio interface, which many GH5/GH5s owners are familiar with. For those who want to shoot HLG for some BT.2100 HDR compliant goodness – the S1 has that profile too. No info on how much it would cost and when it will be available. If you remember the GH5 had a $99 paid license required for V-Log. This was remedied with the GH5S model, which does include it natively, however it is a pricier camera overall. The Lumix S1R is priced at $4,598 USD in a kit with the 24-105mm f4 lens, or $3,699 for the body-only. The Lumix S1 is priced at $2499 body only. I was at BSC Expo yesterday and did take a snapshot of the Lumix S1/S1R brochure at the Panasonic booth. 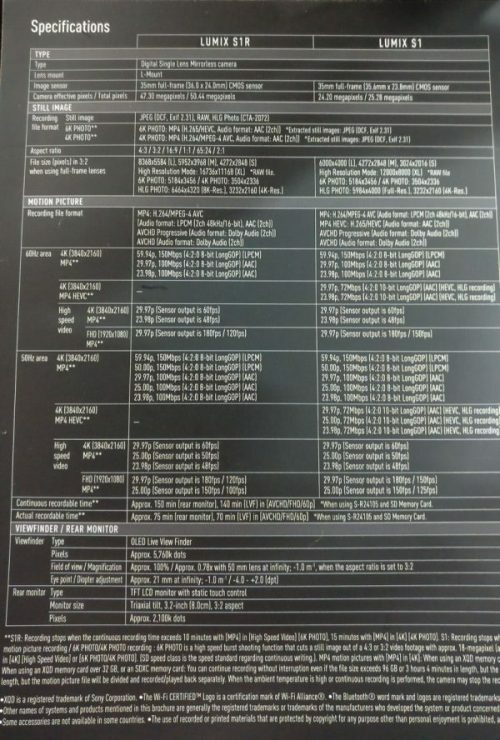 You can see the frame rates and most specs of the cameras below. Click on the link here to download Specs in full resolution. For more info on the Lumix S1R/S1 head over to Panasonic. 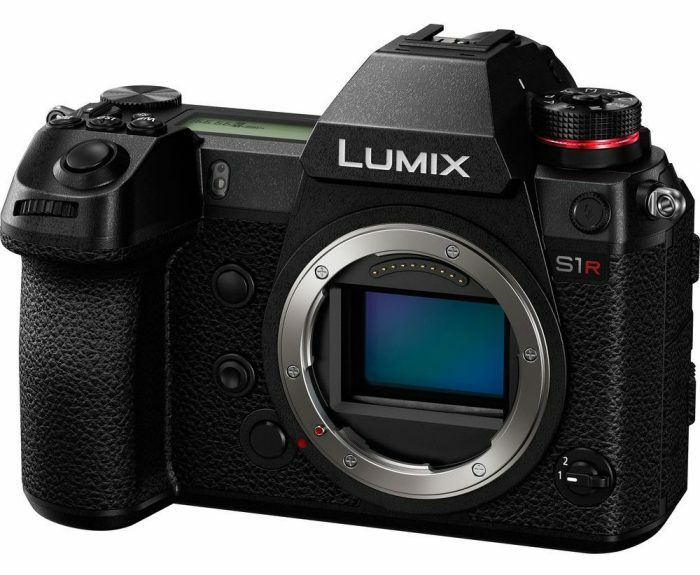 So, how about that new Lumix S1R/S1? Would you rather keep your GH5 or are you looking forward to making the jump the the S1? Let me know in the comments below.